For more than 80 years, Indiana Farm Bureau Insurance has been in the business of keeping farmers and their families safe and secure. That includes safeguarding sensitive customer data, as the Bureau’s Information Security Manager Skip Smith explains. Indiana Farm Bureau was established as a lobbying effort to help represent rural and farmers at the state government level. And what they discovered was that farmers and rural dwellers didn't have good insurance options. So they created an insurance company that is still in business today as Indiana Farm Bureau Insurance. If you've ever filled out a life insurance application, you know that you answer an awful lot of questions about your life. And we have to store all that data, process all that data, and make sure that it stays secure. Really, we do focus on the classic security triad, confidentiality, integrity, and availability. Being that we service every county in Indiana, we have a presence in every county Indiana, agents and claims people have to get out. Get out to the dwellings, get out to the farms. When you go to a Starbucks or McDonald's or any wifi hot spot, you're at risk of all kinds of different attacks. 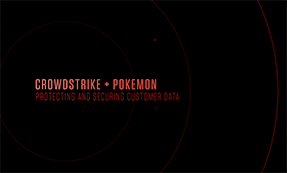 Adding something like CrowdStrike that provides protection no matter where our IT assets are is very important, because it doesn't matter if they're connected to our network or not. They're still getting protection. Classic end-point security is signature-based scanning, AV or anti-malware software. And the way that signature-based products work, we do a weekly scan of the PC or end-point computer. That was to happen on Wednesday nights, and if you didn't leave your computer on, you pretty much knew that Thursday morning was not going to be a very productive morning. You were going to be interrupted with a full-disk scan. And that was going to basically make your computer kind of a paperweight. 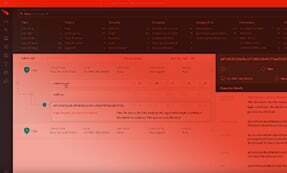 Implementing a next-generation anti-virus like CrowdStrike is helping to drive productivity, because now people don't have to worry about their Thursday mornings anymore. The Overwatch service to me was another big differentiator when looking at advanced end-point protection for us. I believe it augments our analyst team, because they've got eyes on our data 24/7. We like to have a good work-life balance. It gives me great confidence that if there is a bad actor or adversary, and we know that there are going to want to attack us Christmas, Thanksgiving, weekends, holidays all those types of times are prime attack times, because they know that we're not going to be here sort of watching the chicken coop, if you will, making sure the foxes don't get in. Having that Overwatch during that time is just, to me, invaluable. Deploying CrowdStrike was enabling for the analysts. People, when they really care about the company they work for, and they really want to make a difference in their job, if you provide them the tools and enable them to make that difference, it makes them a much happier employee. 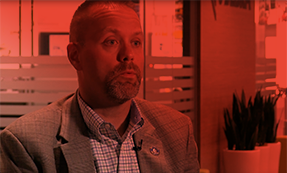 The great information that we get, the quick response that we get, the ease of deployment, the fact that CrowdStrike continues to run on all of our devices but doesn't get in the way, that's kind of what I've conveyed to some of my peers already. And that is what I would continue to convey at this point. I get this from my team. And they tell me that it's the best thing that we've done in the last several years because it's made the biggest difference.